Castle de Haute Goulaine is situated in Little Brittany. La Haute Goulaine is a Loire chateau. It belongs to the same family since 1000 years. 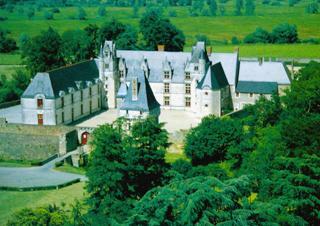 Chateau de Haute Goulaine is an historical monument. Exceptional decor shows. Tropical butterfly aviary living museum of Art Biscuiterie Lu, wines sale. Rental of rooms for events.